This is the completed Gammage Memorial Auditorium. 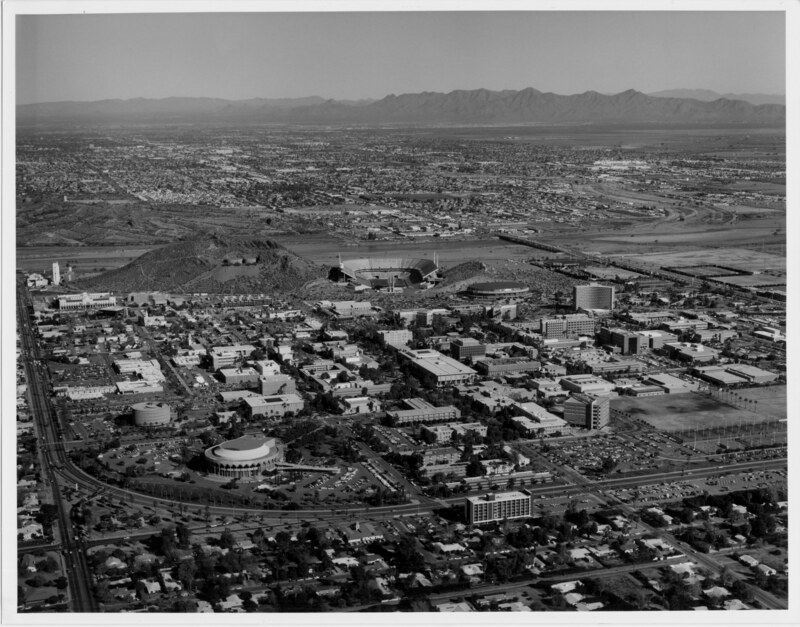 The photo shows how the location of the Auditorium makes the Auditorium be one of the first buildings seen by visitors to Arizona State University. The photo is facing north and shows the campus.